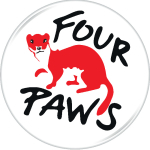 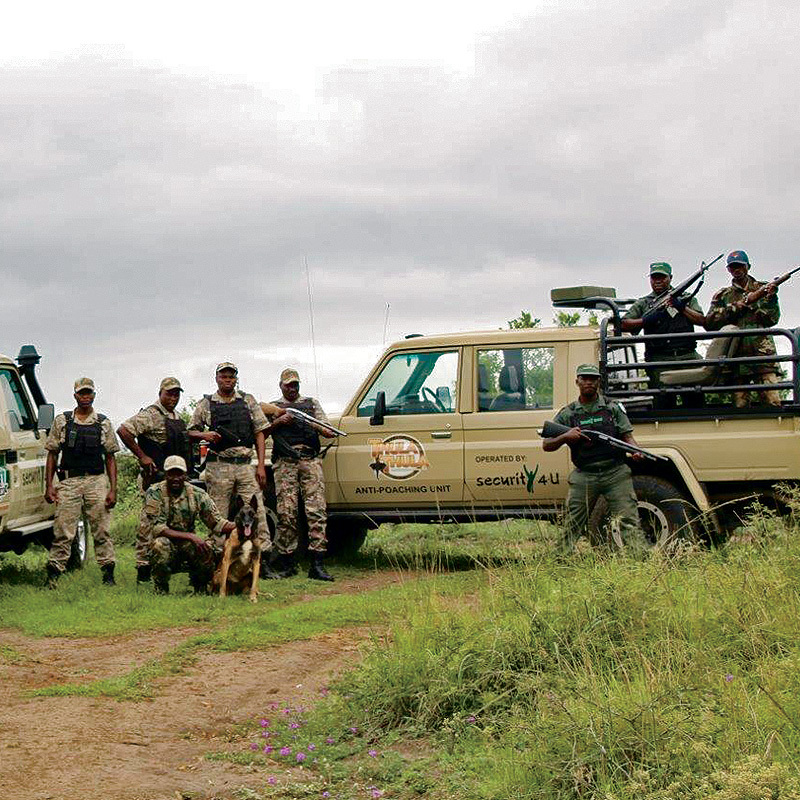 A dedicated team working 24/7 for the protection of our precious wildlife. 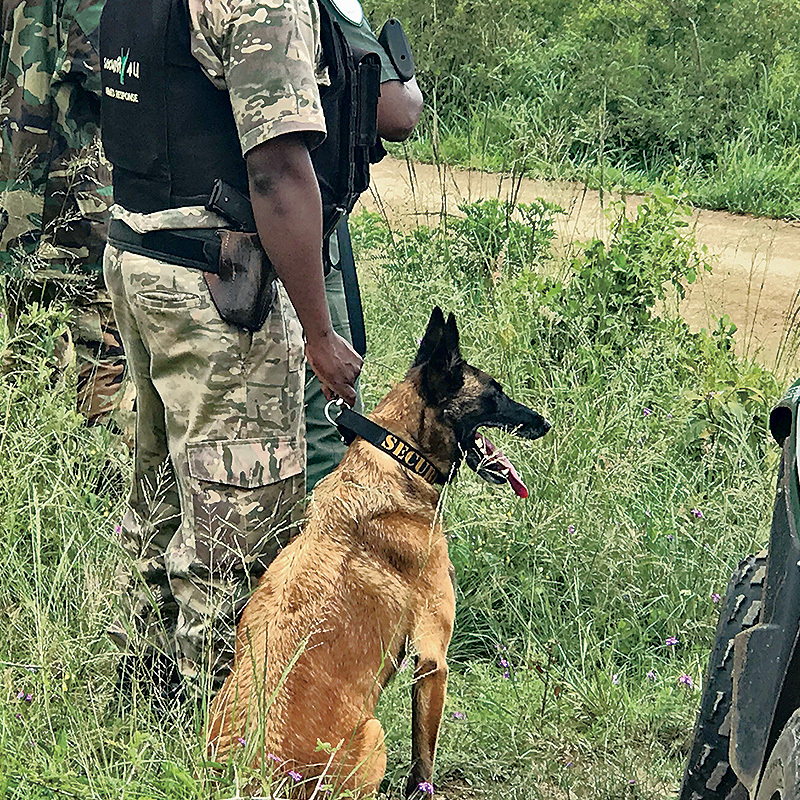 With the K9 unit, Boris and Debbie, the Belgian Shepherds Malinois, part of the patrolling anti-poaching team. 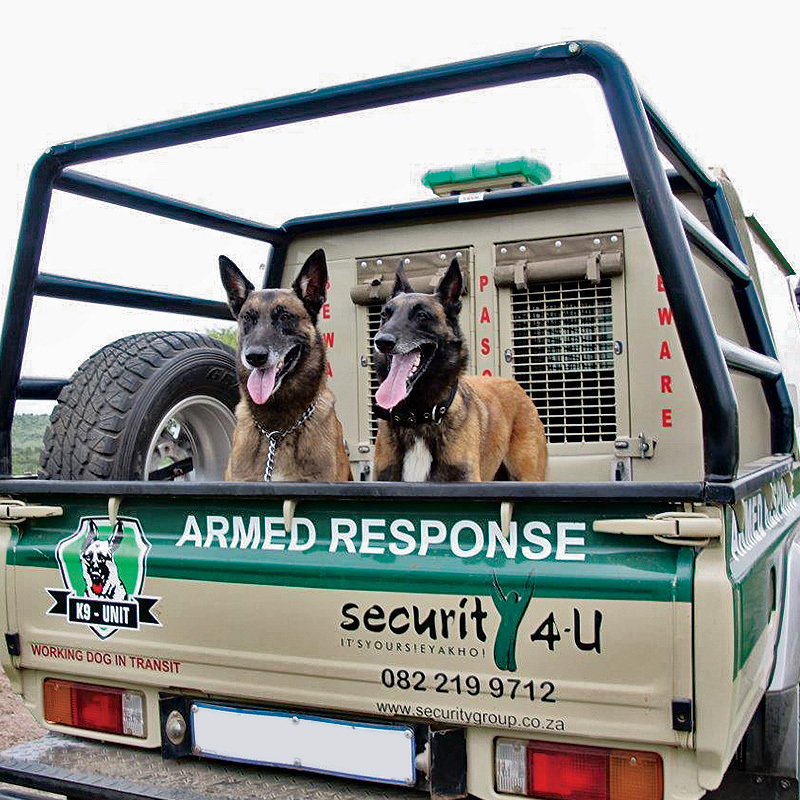 These armed guardians of our wildlife work day and night, driving around doing fence patrol, and deployed in the whole game reserve for ambushes, in order to prevent wildlife crime. 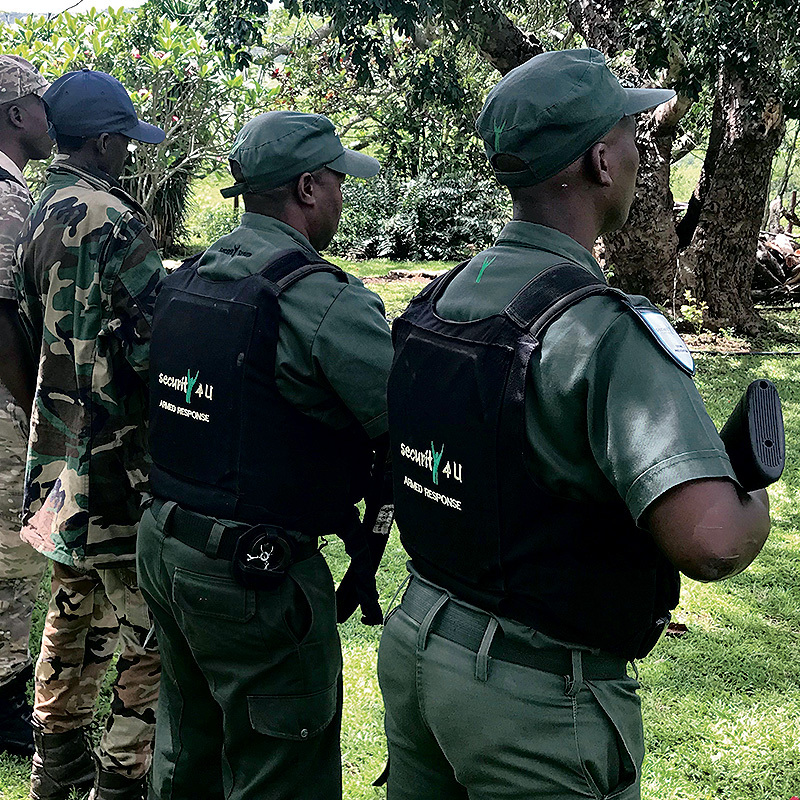 Added to this special unit, we also have the WILDLIFE PROTECTION AND RHINO MONITORING TEAM dedicated to guarding our rhinos, Thabo and Ntombi, day and night. 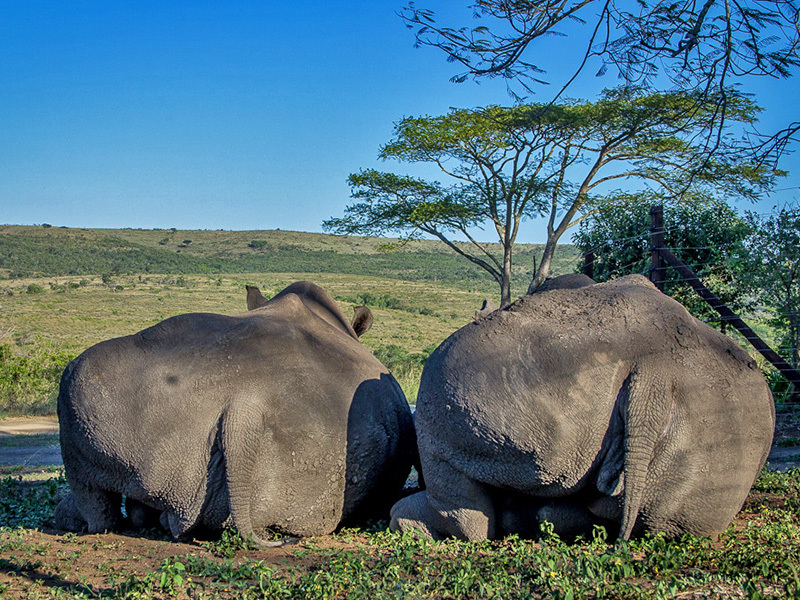 The protection and survival of our wildlife is an absolute priority at Thula Thula. 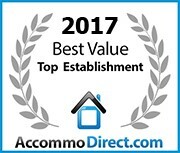 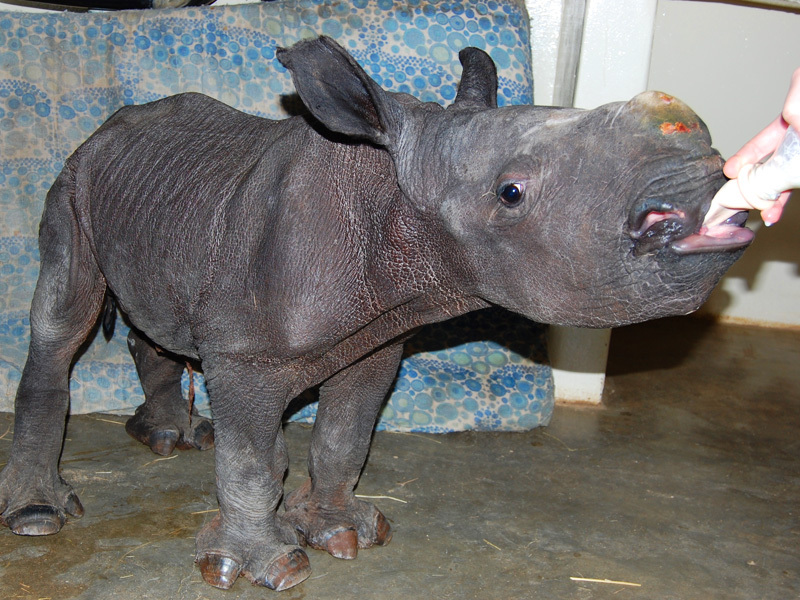 THANK YOU to our donors for your amazing help and contributions, as we would not be able to do it without you. 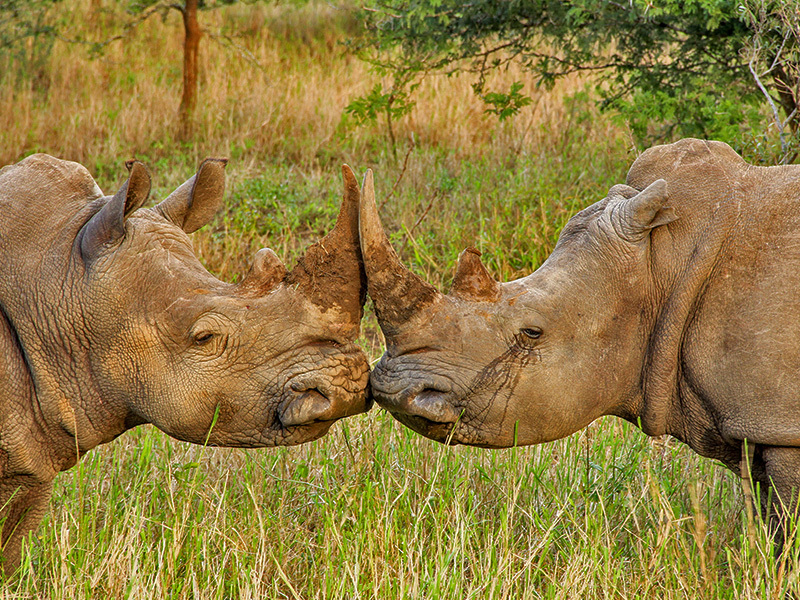 The Thula Thula Rhino Fund, is part of the SOUTH AFRICAN CONSERVATION FUND, a registered Non-Profit Organisation, founded by Françoise Malby-Anthony, Managing Director of Thula Thula Private Game Reserve and widow of well-known conservationist, explorer and international bestselling author Lawrence Anthony. 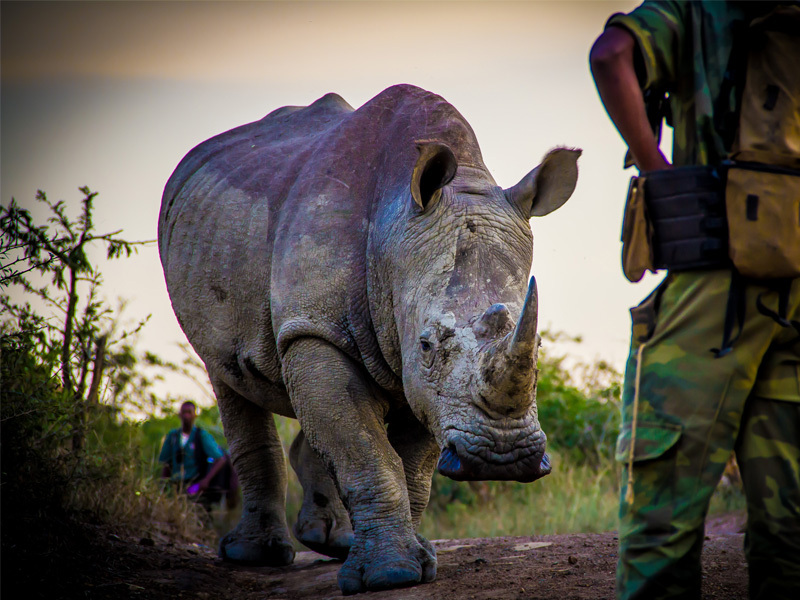 In March 2012, Thabo, who was three years old at the time, was shot and wounded by ruthless poachers who entered into the Thula Thula Private Game Reserve to poach our rhino for their horn. 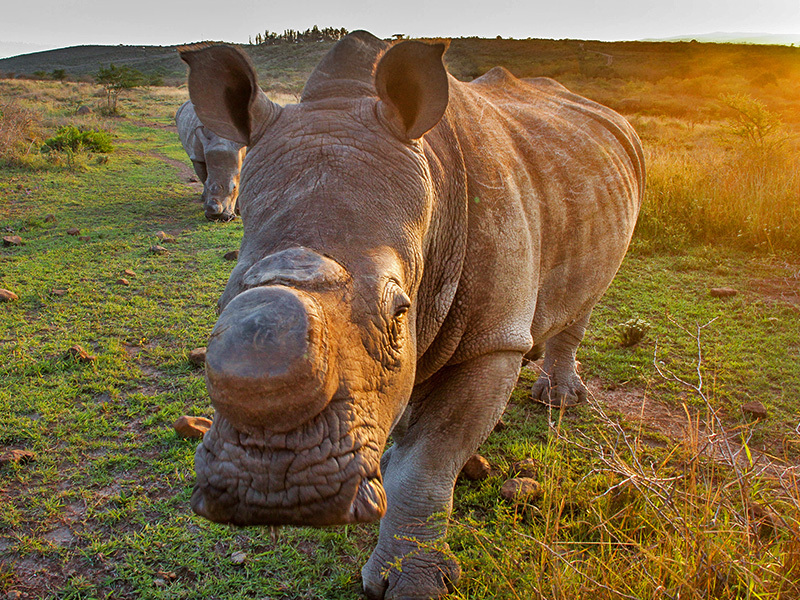 This resulted in the establishment of the Thula Thula Rhino Fund, which raises funds for the protection and preservation of the rhino population within the Thula Thula Private Game Reserve. 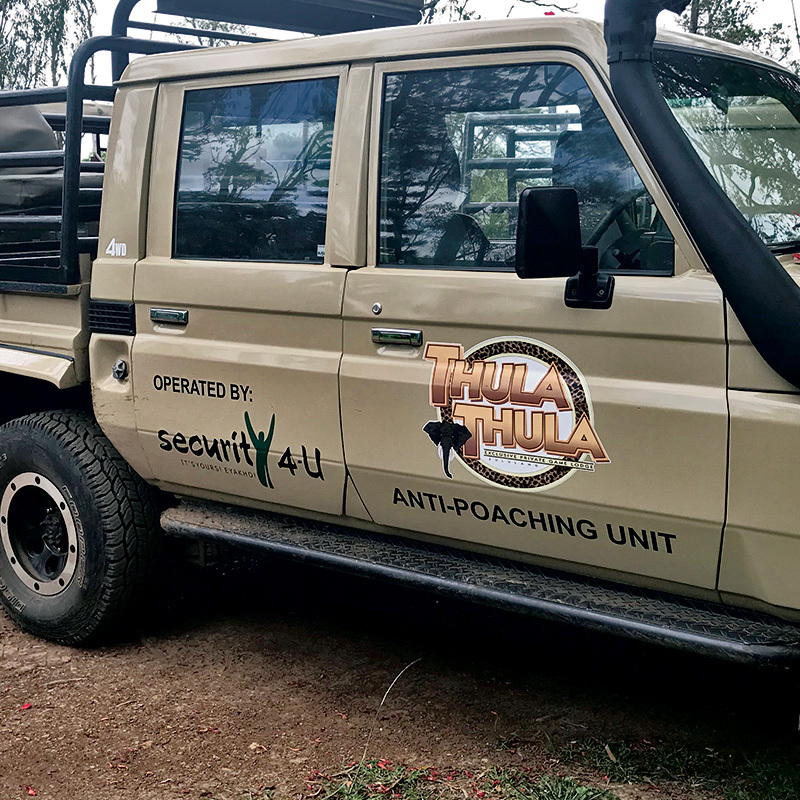 Funding goes towards supplying much-needed equipment for counter poaching activities, for crucial conservation initiatives and to ensure the on going protection and survival of our rhinos but also all our endangered species.